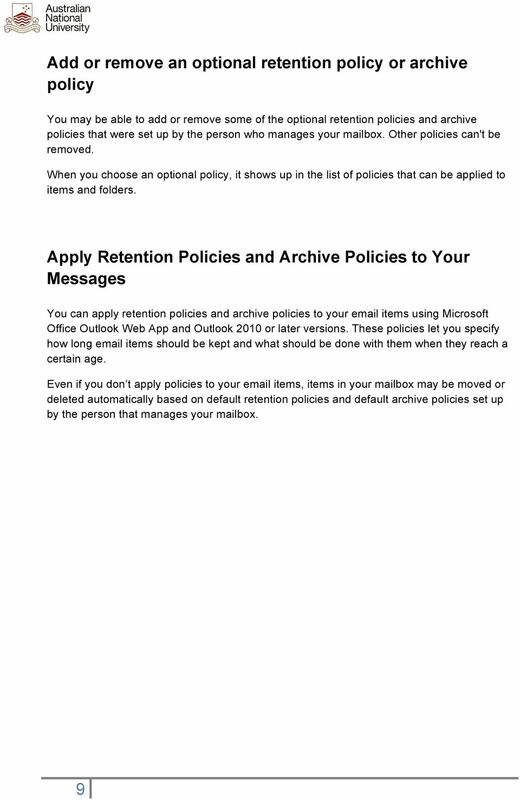 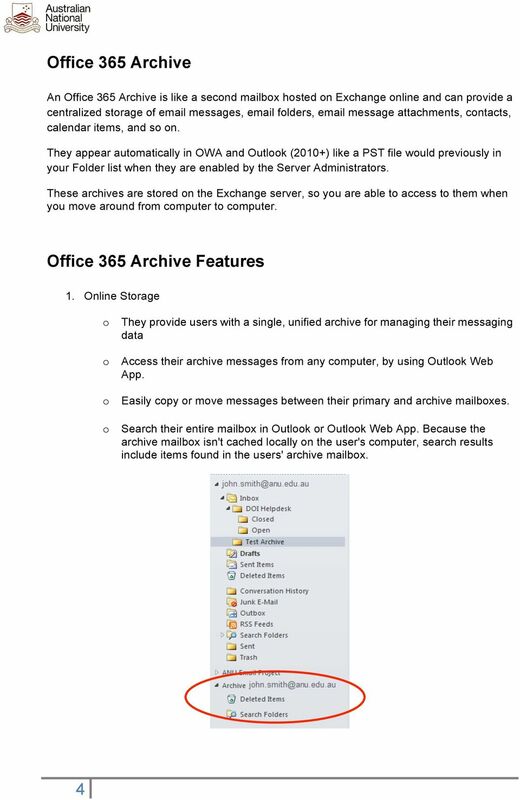 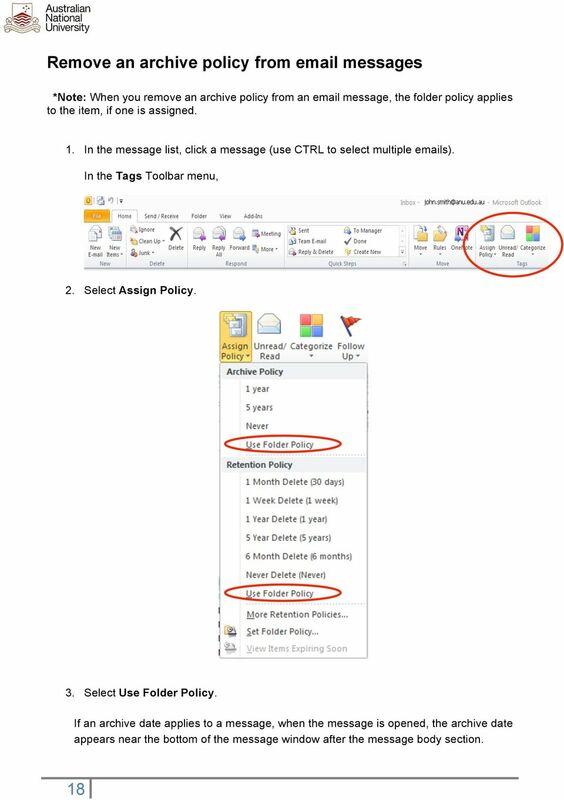 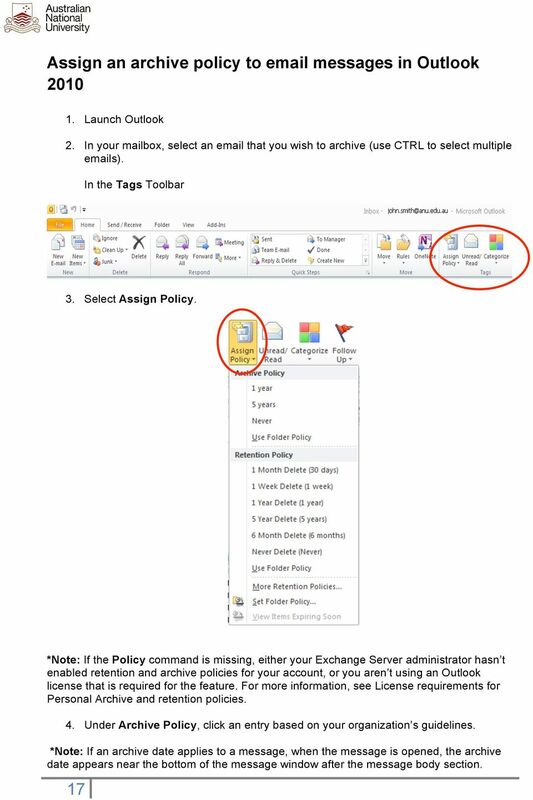 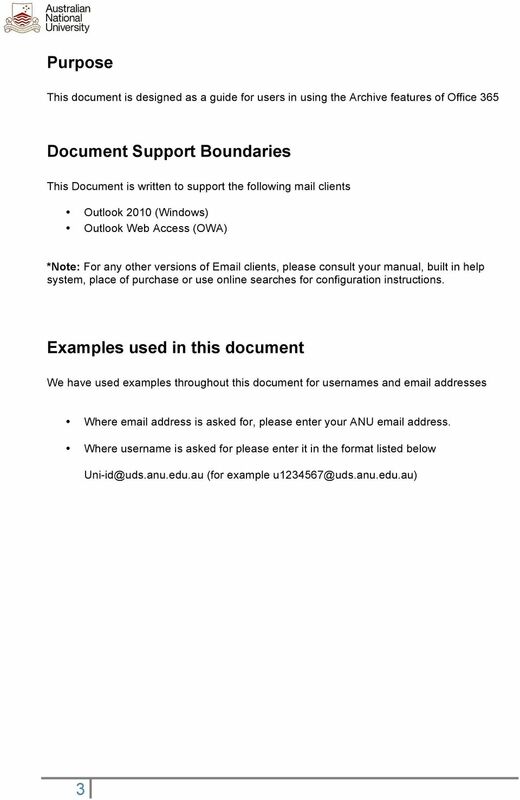 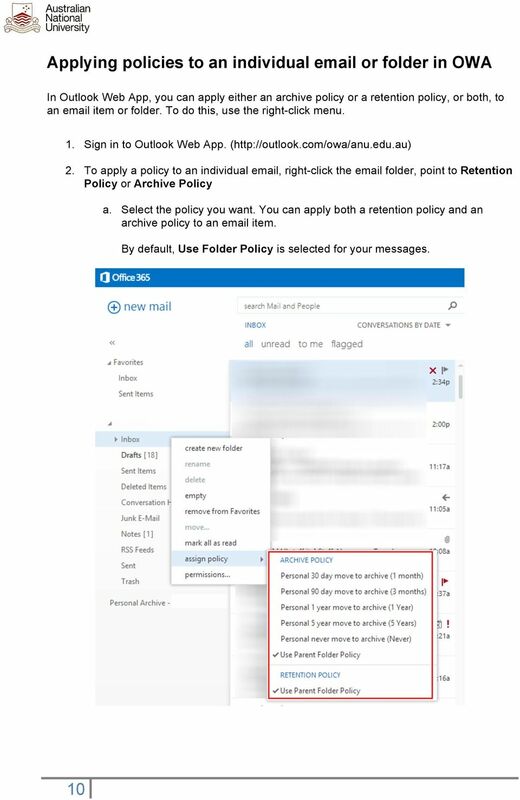 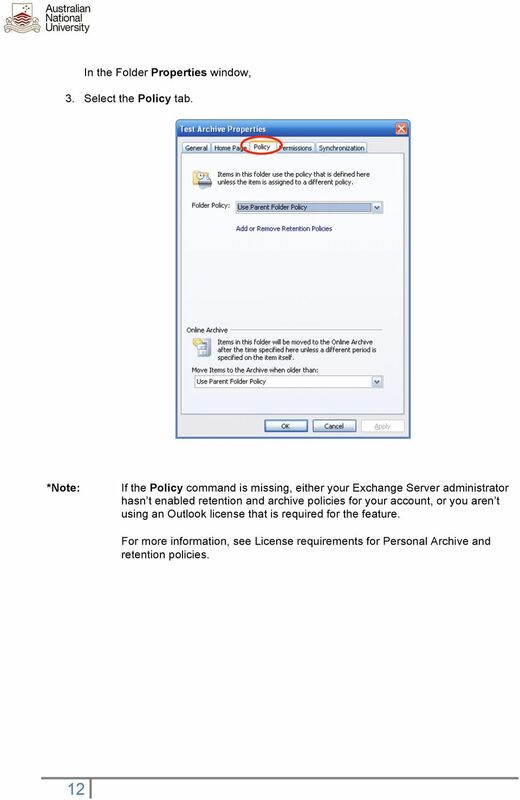 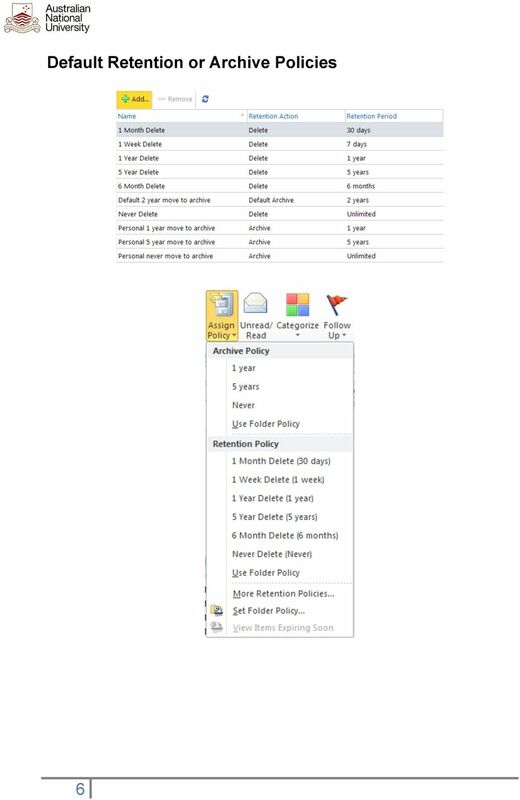 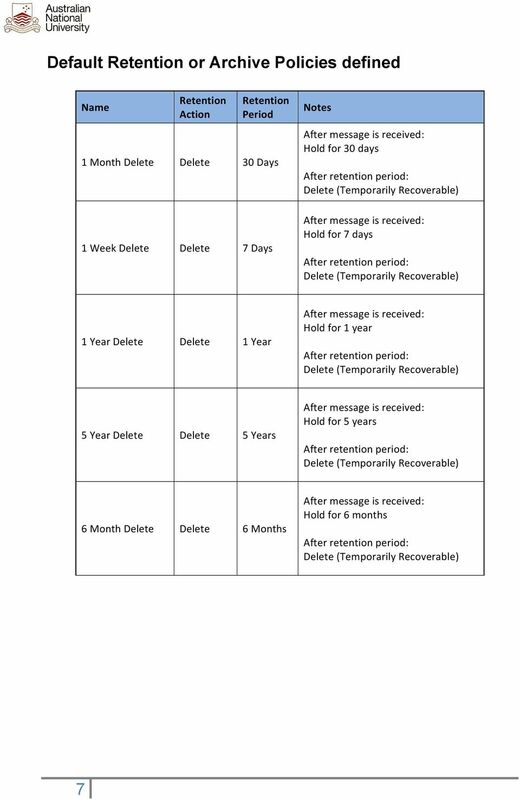 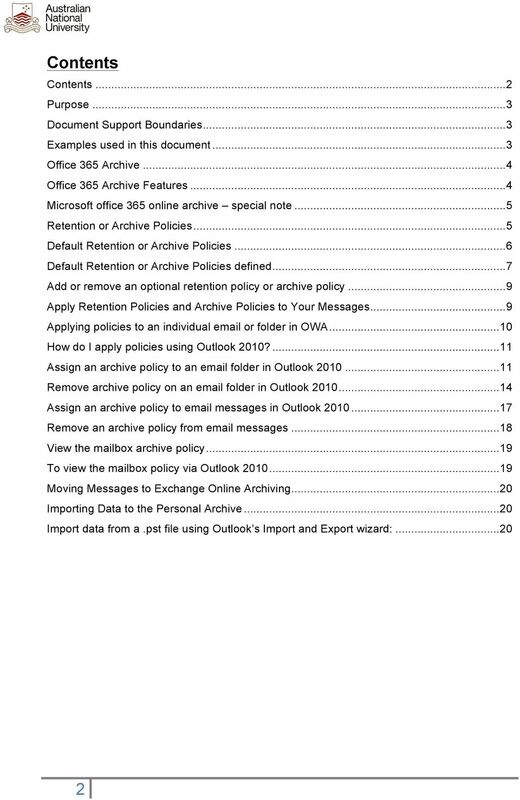 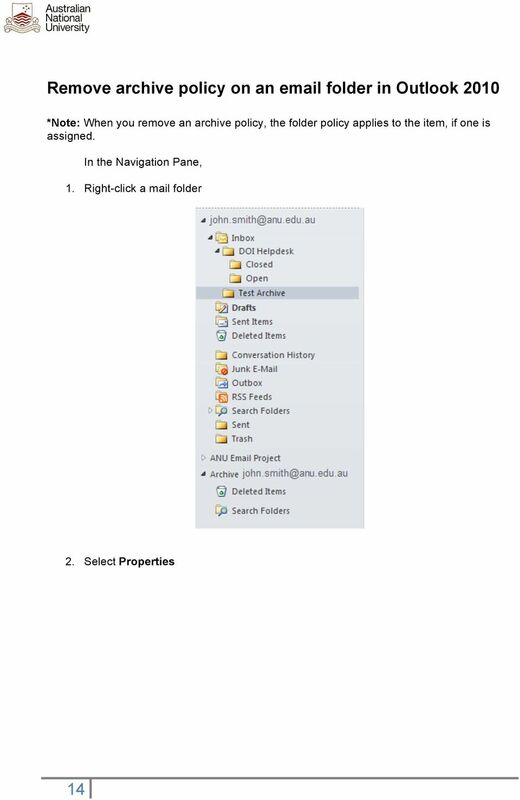 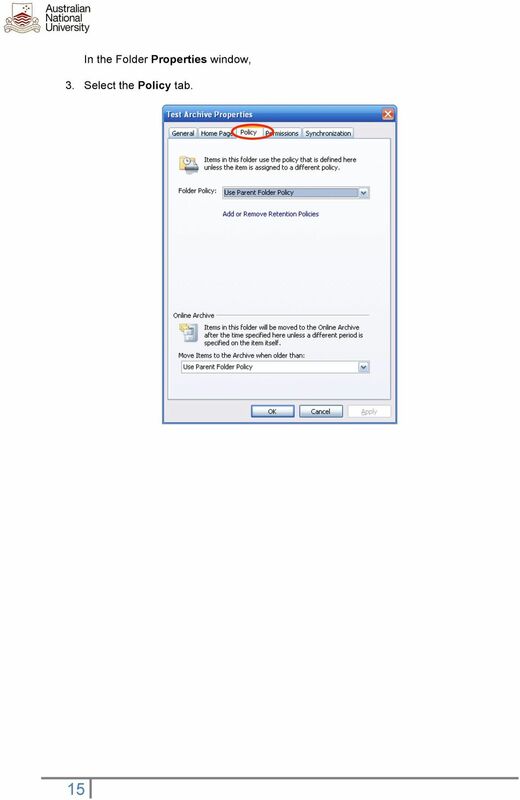 Download "Microsoft Office 365 online archive features and FAQs"
Exchange 2010 Archive Mailbox Exchange 2010 has a new tool to help manage often unruly inboxes, the Archive Mailbox. 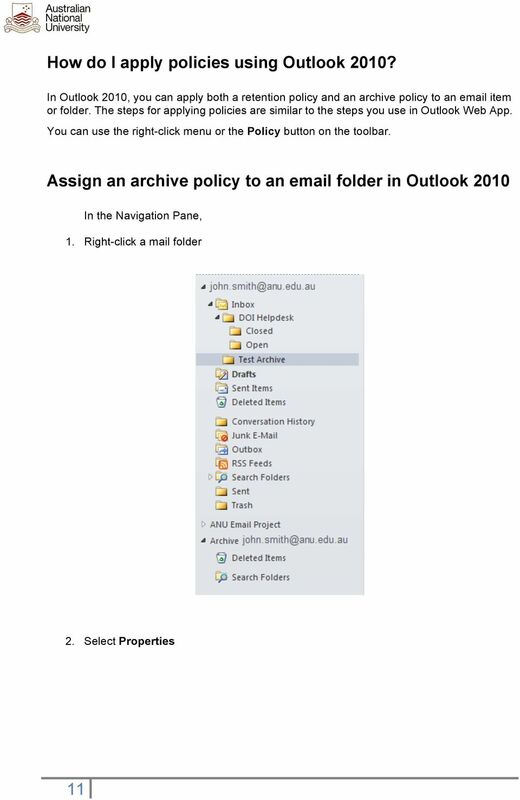 This gives staff essentially two mailboxes a primary mailbox and an archive mailbox. 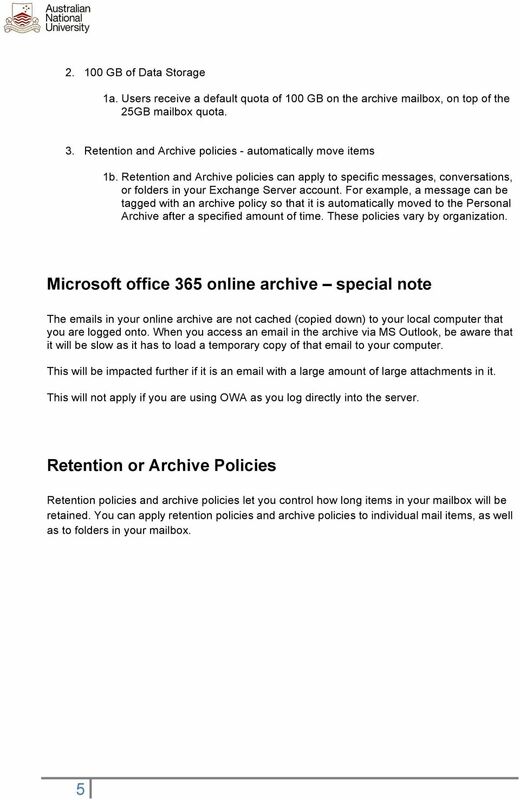 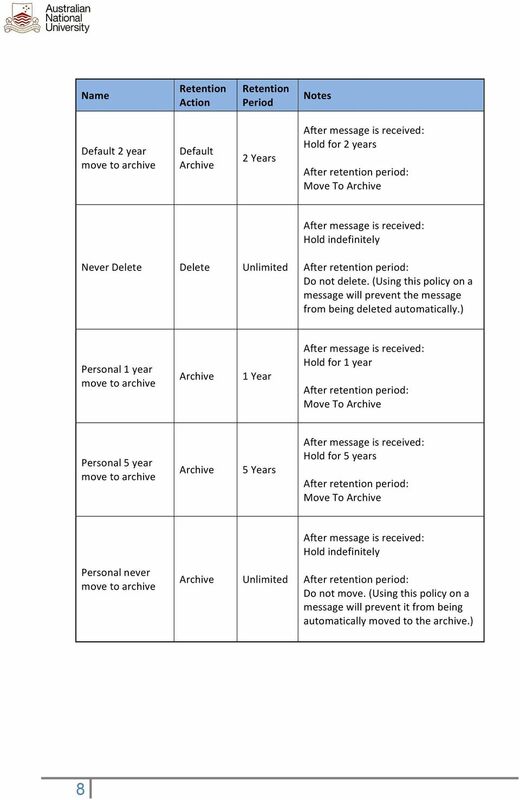 What Is Online Email Archiving? 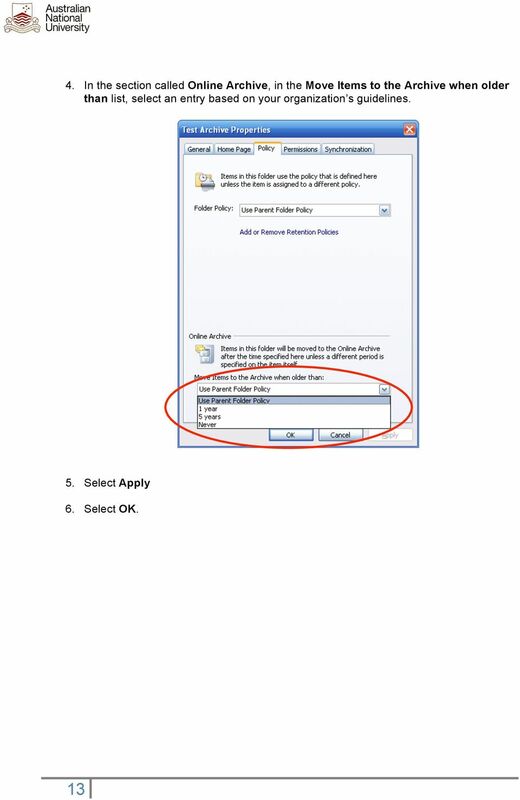 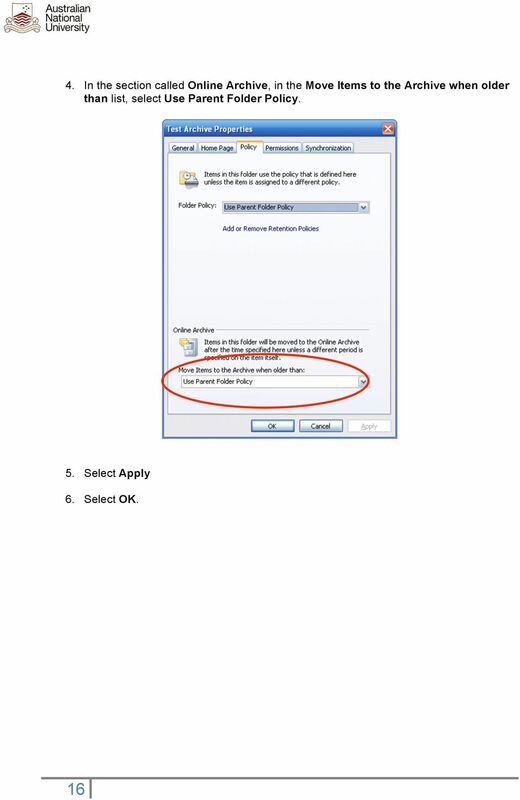 Your OUTLOOK configuration may not include all of the following files. 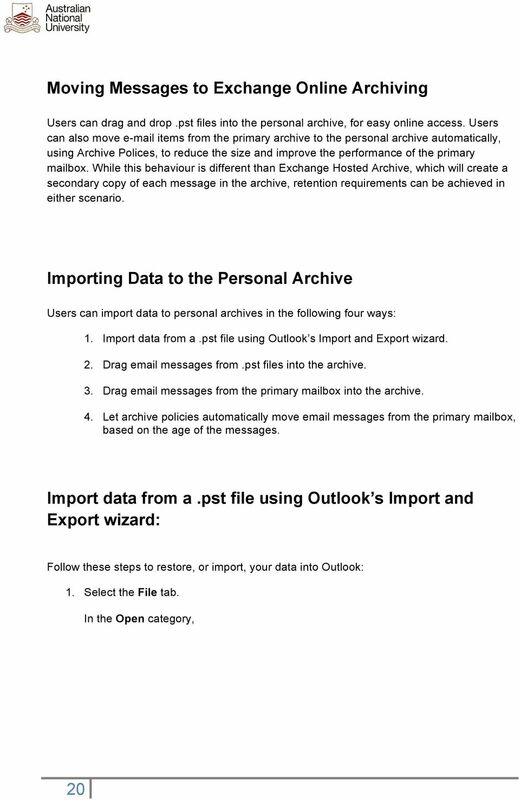 Some files are created only when you customize Outlook features. 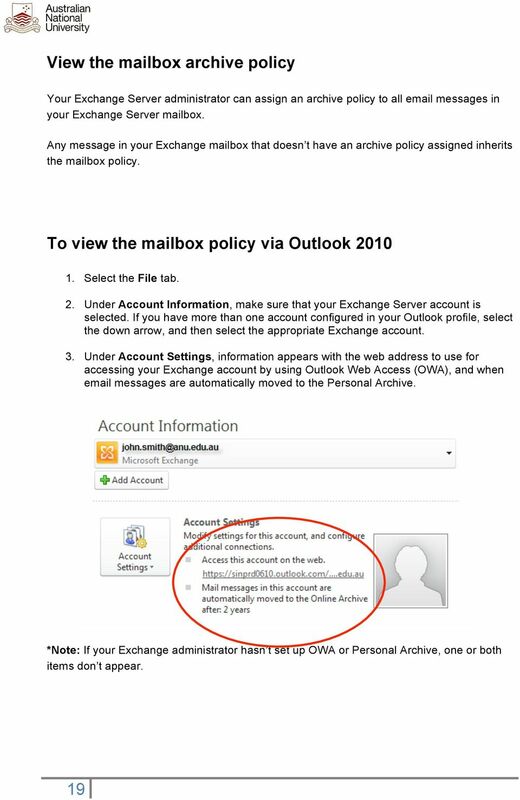 Flexbox (Zimbra) 5.09 Connector for Outlook BACKUP BEFORE YOU BEGIN TO UPGRADE!